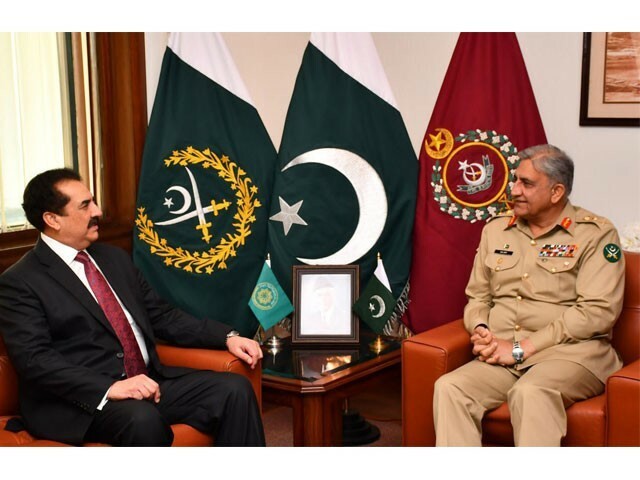 Army chief General Qamar Bajwa has appreciated the efforts of Islamic Military Counter Terrorism Coalition (IMCTC) towards regional peace and security. The development came during a meeting between General (retd) Raheel Sharif, the chief of the Islamic military coalition, and General Qamar at the General Headquarters in Rawalpindi on Monday, said the ISPR. The Islamic coalition of 41 countries aims to fight “terrorism through collective efforts in the ideology, communication, counter-terrorist financing & military domains”. During the meeting, the military’s media wing added, matters of mutual interest including regional peace and stability were discussed. The meeting between the two commanders comes days before Saudi Crown Prince Mohammad bin Salman is due to visit the country. Pakistan is likely to sign a number of investment deals, including the construction of a multi-billion-dollar oil refinery in the port city of Gwadar, during the upcoming visit.